In a world where the sinking entirely, so you survive long at any one second while riding in a block of various form of falling from the top! 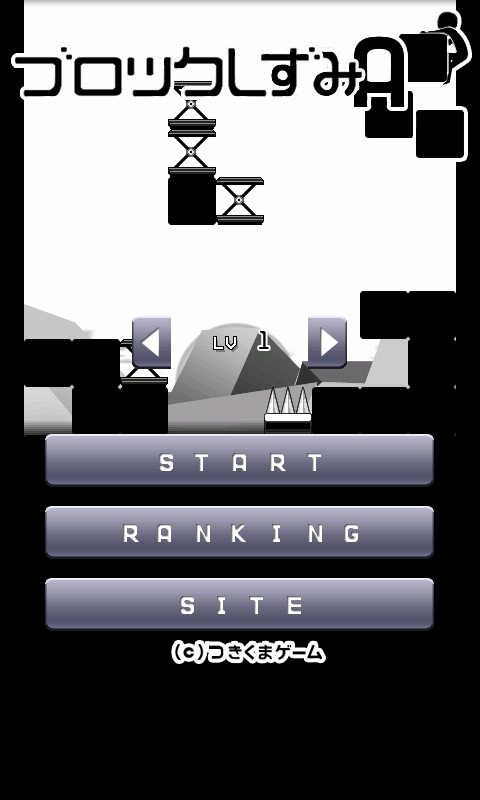 Character Dari sinking into the sea, game over, only blocks piled Once crushed to block, level and score will become higher and higher. Operation is simple, you can move the character easily. It is an action game that you want to manipulate the people, you can avoid the block, or ride, while crush, aiming a high score as possible. You can avoid it by flying triangle block of the gap in these and surpassed in the finishing move the situation that seems to be crushed in the block, so you Kirinukeyo cool without meaning! Because it corresponds to the net rankings, to Prove the proof that surviving in this world together!